Please keep in mind like always its early content and report bugs and features to our discord channel! Video of the Needle Threader Ship! -Changed dial time delay between each glyph on a normal dhd, on auto dial from .5 seconds to .6 seconds. -Added Auto Dial delay setting in Gate System Module. (Allows you to change the delay time in-between each glyph dial on a normal dhd on auto dial. -Added Rest of SGC Level 28. -Fixed multiple Geometry Errors in SGC. -Removed some objects… to be added in later as seperate objects in SGC. Gate system disappeared from steam yesterday re-added and also fixed the bug where in multi you would freeze upon exiting the gate. -Oops, fixed a script error in the previous update! 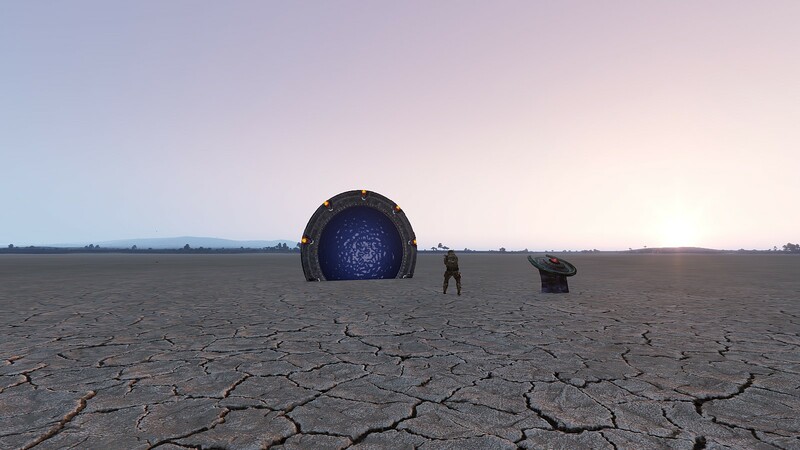 Added list of other Stargate mods category. Because we love everything Stargate! Just a tiny fix for now. -Fixed SGC Stairs from not showing through glass.